Bakhtin, M. M. 2002. Forms of Time and of the Chronotope in the Novel: Toward a Historical Poetics. In Narrative Dynamics: Essays on Time, Plot, Closure, and Frames, ed. Richardson, Brian, 15–24. Columbus: Ohio State University Press. Pavlich, George. 2013. Dissociative Grammar and Constitutional Critique? 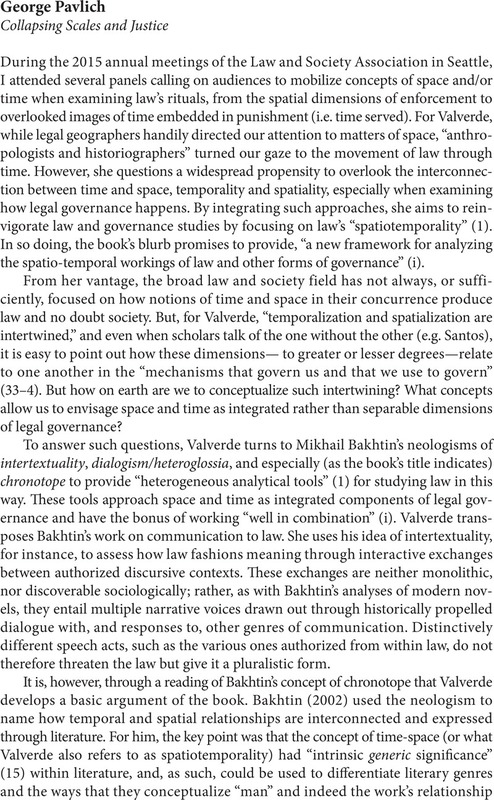 In Genres of Critique: Law, Aesthetics and Liminality, ed. van Marle, Karin and Motha, Stewart, 31–48. Stellenbosch: Sun Press.